Needed a replacement for the laptop my mum took to Europe with her and I honestly wasn't too hot on the idea of buying another laptop. So I made a run to my local computer shops and bought some parts. CPU: The Celeron I already had; brought it with me from Europe. Motherboard: cheap and good build quality to fit the CPU. RAM: Overload but whatever, it wasn't terribly expensive and my laptop had 16GB as well! Storage: the SSD was picked up from a local shop, the 1TB drive I had at home. PSU: Bought it off a friend when he upgraded. Better photos coming soon hopefully. GPU: I'll wait and see what AMD releases to combat the 1080 (if anything) and make a decision for team Red or team Green. EDIT1.0 As a kind soul pointed out in the comments, Xeon won't work so I'll have to fork over the i7 premium... sadly :( However, DX12 should be able to make use of the i7's iGPU in some instances so it may help me some time in the future. As weak as it is, it'll still come in handy for ........ something. Probably. EDIT1.1 I installed an R9 280 GPU from Club3D (testing it for a friend, long story) and ran into clearance issues with the HDMI port due to the case's construction. The HDMI cable will not plug in all the way, leading the display to flicker if I bump the table too hard. Be weary of this. For the price you really can't go wrong with this Celeron. Its no beast but will get you started in the Skylake ecosystem (has a clear upgrade path on a new socket) and for office work it really shines. Paired with a healthy amount of RAM it makes Chrome feel nice and peppy. Have to dock points for the low amount of fan headers, the ridiculously tight case pins (for switches and LEDs), and the I/O shield is utter garbage. However, I like the CPU power connector being out of the way in the corner, the UEFI, and the Asus reliability+support. It has its faults, but for the money it is a solid board which I would recommend any day. Fast RAM from a good company for a good price and low profile to boot! Great kit of RAM, brilliant color as well. Can't go wrong with this set. 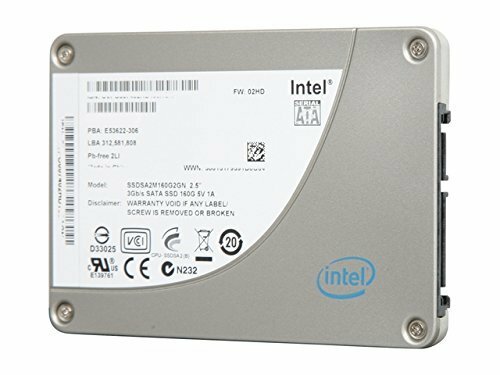 Intel SSDs are always solid choices, but this one disappointed me a bit. The read/write aren't as good as I was expecting and a Samsung drive beats it outright (840EVO). For the money, I'd go with a Samsung unit or a Kingston/HyperX. Its alright if you can find it cheap, but not the best at retail value. WD Black 1TB - the drive you get when you need storage. Not recommended for NAS operation but its not advertised as it so that's fine. Looks nice, but build quality is pretty bad. Its not as awful as some competing cases, and at least has a nice window. Cable management is nice, at least, but at this price point they really should add some grommets on the largest of the cutouts. My PSU didn't fit very well against the holes (they didn't line up very well... One screw didn't go in at all). I wouldn't recommend this for an ATX motherboard; mATX fits in much better due to the extra cutouts along the bottom. 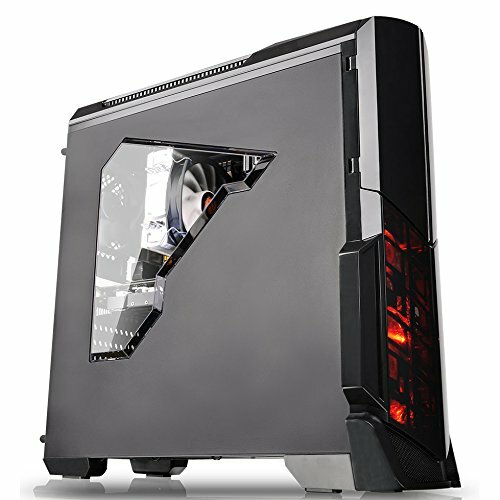 Consider it a mATX full tower with a funky window, but there are better cases for the money. EDIT3: Installing any fans other than the rear exhaust is the ultimate pain in the rear... Don't count on the ability to install front fans at all really, and save the top holes for cable tie-down spots. Non-modular, but honestly its a great unit. Never had an issue with Corsair PSUs and this one is no different. Only has 2 PCIe 6+2 connectors though, so if your GPU requires more than dual 8-pins or you have multiple GPUs, you should look at stepping up to one of the modular PSUs or just something higher overall. I hate to break it to you, but you'll need a different motherboard to run a Xeon. Starting with Skylake, Xeon E3's require a C232/C236 chipset to operate. :D Those Celeron are tricky buggers to find. Even in Europe I had to order it. It's actually getting pretty decent framerates on League of Legends which is surprising. Ive got one of them myself. Look forward to see your upgrades. since you are going enthusiast waiting for volta and vega will be a good choice. HBM/HBM2! While fan placement is pretty bad, I did manage to get a 240mm radiator in the top mount and a 120mm intake fan in the front, which is plenty for my current hardware. Could add one more exhaust easily, and apparently I can fit a second intake fan as well, but again, that would be a pain. It's not a BAD case. Just... not very good. Built in worse. I swapped the CPU out for an i5-7500 now, added another pair of 8gb sticks, and the GPU I ended off using was a Sapphire Nitro RX480 8GB I snagged on sale for a steal! (CAD 229.99+tax!!!) If I didn't get that deal, I'd have waited for Vega. Excellent gaming PC now. . . . Now... 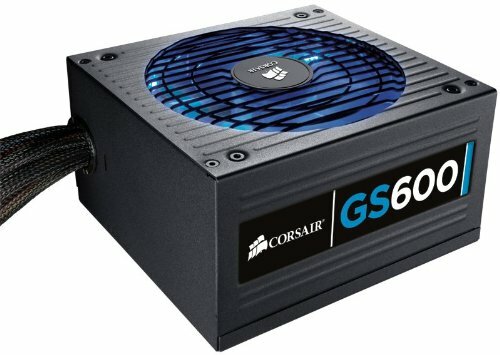 The Corsair 600W PSU is plenty enough. People seem to always go overkill on their power supplies and it's not necessary. Why upgrade when I don't need to? It's strange, but in this site I have often seen an overclocked Core i7 + GTX 980 Ti/1080... paired with a weird ~600W Bronze PSU... It's just not advisable. Quality PSUs make your build last longer and the whole configuration more expandable. 600W for an overclocked i7+980 is pushing it, yes... That said, I'm not running an i7 or a 980 here so why mention it? In it's most powerful form it stuck to an i5+480. This Corsair unit is more than enough for this build, and has plenty of extra buffer. Also, 80+ ratings are efficiency, nothing to do with actual quality (even though a gold rated power supply will usually be be higher quality anyways by default).